USAID support for business associations, such as the JURCP, is creating an environment where micro and small enterprises can flourish. 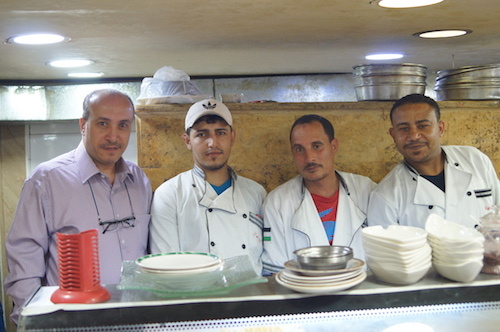 Ahmad Nassar (left) with staff at his restaurant in downtown Amman. Finding qualified staff and meeting tax and regulation requirements are big challenges for Ahmad and other restaurant owners. At the end of an alley off a bustling street in downtown Amman, a small restaurant is setting up for the day. The staff are busy preparing food, checking supplies, and taking orders. The family-run restaurant, Nassar Grill, was founded by current owner Ahmad Nassar’s father, who taught Ahmad how to cook the delicious kebabs and areyeas for which the restaurant is renowned. Ahmad keeps a careful eye over the staff, offering suggestions as they select meat and prepare dishes. He has trained each staff member personally and takes pride in the quality of their work. But running a successful business in Jordan’s competitive restaurant sector takes more than hard work and commitment. Restaurant owners face a range of challenges including difficulty accessing finance to start businesses, expensive licenses, regulations and taxes, and a scarcity of willing and qualified staff. There is also increased competition as refugees arriving in Jordan open restaurants and sweets shops. Having access to the information and support required to deal with these challenges has enabled Ahmad to sustain and grow his business. 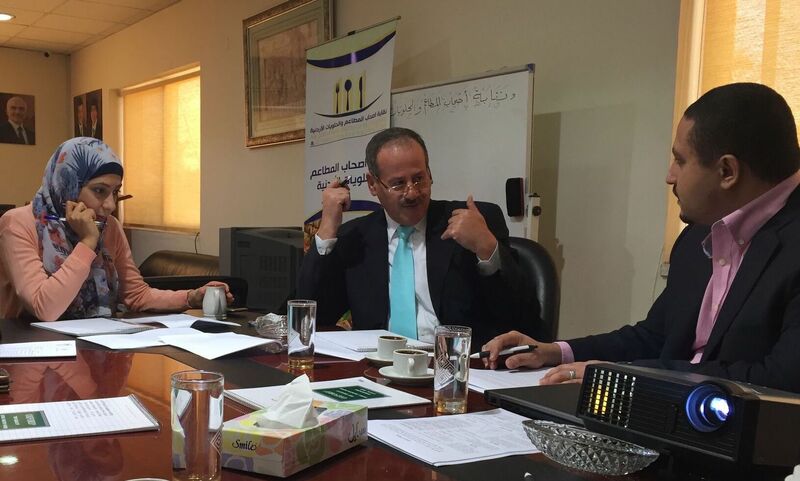 Ahmad is a member of the Jordanian Union of Restaurant and Confectionery Proprietors (JURCP). Founded in 1976, the non-profit, member-based business association was established to represent owners of restaurants and sweets shops, to regulate and increase the level of professionalism in the industry, and to advocate policies and regulations to support the growth of the sector. The majority of members are micro and small enterprises. Membership of JURCP helps Ahmad in a number of ways. Through effective advocacy with the government, JURCP was able to identify the appropriate threshold for tax exemption status for restaurant owners like Ahmad, who serve a lower-income segment of the population. Ahmad also takes advantage of training and information provided by JURCP on health and safety regulations. These trainings, and JURCP’s advice on regulatory and standards requirements, have helped him avoid unnecessary fines. The Center for International Private Enterprise (CIPE) has been working with JURCP to develop the association’s strategic planning capacity and implement new services to better support its members, like Ahmad. CIPE’s work is made possible by a grant from the Local Enterprise Support Project funded by USAID/Jordan and implemented by FHI 360. CIPE assisted JURCP in developing their capacity for advocacy and building relationships with stakeholders. JURCP effectively advocated an improved system of regulations, fines and inspections related to restaurant hygiene and safety. Raising awareness among JURCP members about the regulations was an important part of the initiative. As a result, there has been a 60 percent improvement in hygiene and safety standards since 2016, along with a decrease in the number of fines on restaurants. JURCP is also tackling the problem of an inadequate supply of qualified staff for its members’ businesses. 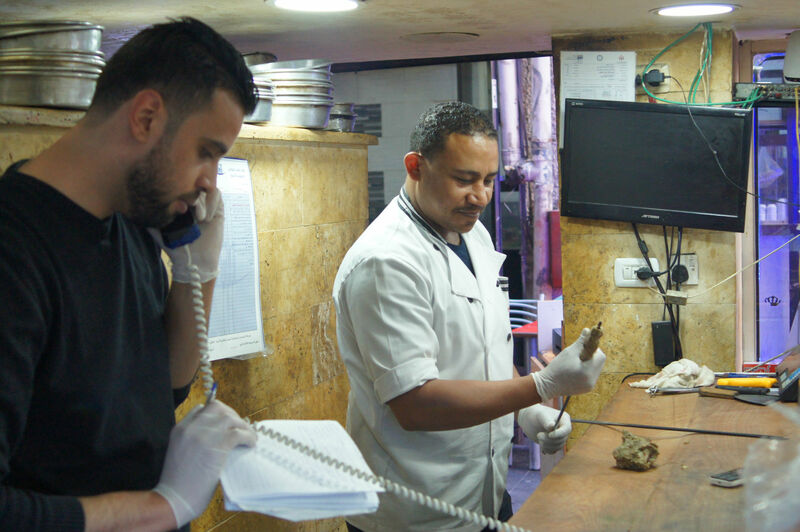 With CIPE’s help, JURCP developed an agreement with the Ministry of Labor and the International Labor Organization (ILO) to train Jordanians to work in the restaurant sector. Once qualified, ILO will pay one-half of a trainee’s salary for one year while they work in a JURCP member restaurant to gain practical experience. The program is also designed to overcome a cultural reluctance among Jordanians to perform entry level restaurant work.